Hardoor does not import its hardware but develops it on its own. Hardoor’s hardware is registered as international patents and marketed all over the world. Hardoor’s mechanisms are considered to be the most advanced in the world due to their mechanical capacity and the design opportunities available as a result. 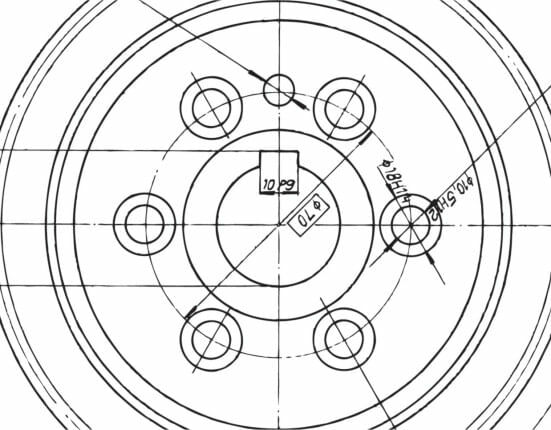 Hours of research and development were invested in every inch of our sliding system, teams of engineers did wonders until we were able to register twelve international patents. The systems went through 10 years of rigorous improvements and adjustments until they reached their ultimate performance, with a carrying capacity of 100kg per door and a perfect soft sliding system. 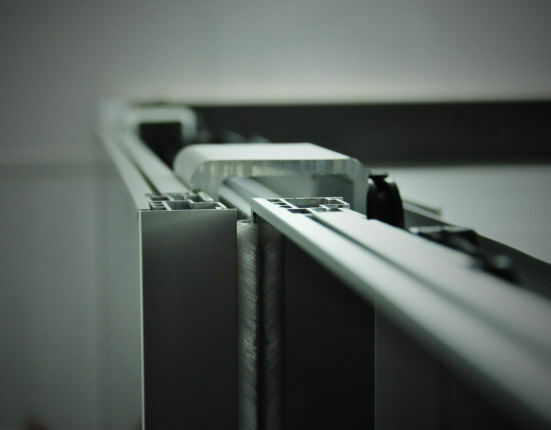 Compared to every other known sliding system in the world, Hardoor's sliding systems present better performance and a much larger range of mechanic capabilities, such as their maximum weight capacity, their maximum door width, their profile thickness (as thin as 4mm), their maximum height and more. Additionally, Hardoor's sliding systems also present unique features, such as beveled profiles and an internal door adjustment capability. The Glidor X mechanism is actually the motor behind Hardoor's floating wardrobes. Why are they called "floating"? Because the doors look like they are 'floating' out of the closet. The doors do not take up any storage space inside the closet and the facia looks like one impressive glass or wood wall sitting on two levels. 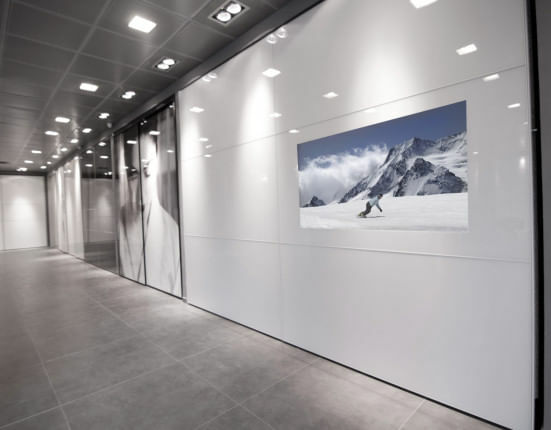 The variety of solutions that the Glidor X mechanism provides are immediately visible and considered to be the world's most advanced wardrobes. They can be built up to the height of the ceiling with almost no gap and their aluminum profiles are very slim at 4 mm. It's weight capacity is impressive. Hardoor started as a sliding systems hardware manufacturer. 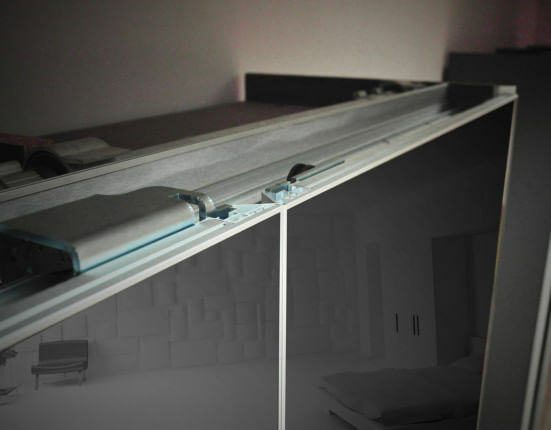 Our first development was this interior doors mechanism, featuring long range stability and an extremely strong structure; it is claimed to be the best solution for most of the common problems known to occur in sliding systems. 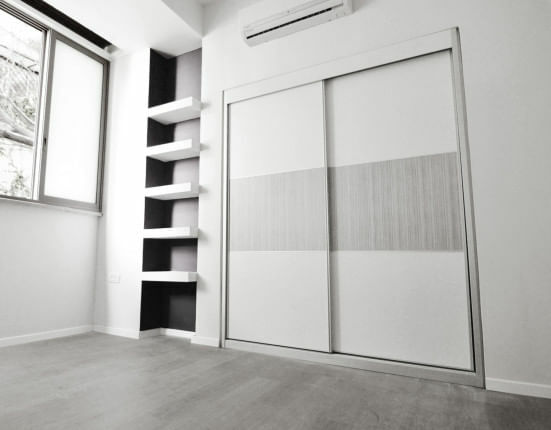 The first patent in the field was registered for a sliding system located inside the closet’s aluminum profiles as opposed to connecting them directly to the door’s raw material which was usually the most common method. Most of the wear and tear issues including the issue of sinking doors, were solved. The separation of the mechanism from the door neutralises the doors carrying their own weight, allowing them a soft, smooth slide. The Glidor N presents a huge carrying capacity and the doors move smoothly even with the lightest of touches. Introducing the Sesame mechanism by Hardoor, which allows the design and manufacture of cabinets with perfect sliding doors aligning equally with each other on closure. The Sesame mechanism comprises many elements and capabilities which were developed over the years by Hardoor. The primary function is, of course, a uniform closing of the doors, but this is only one of the bonuses of this mechanism which is considered to be the world's most advanced sliding mechanism. Sesame closing mechanism allow wardrobes to be made up to the height of the ceiling with almost no gap. They come with unique, slimline profiles that allow a safe closure mechanism. The slimness of these profiles creates an interrupted fusion of the doors when they are closed. The Sesame mechanism is capable of carrying up to 100 kg per door while maintaining a soft movement of the doors, making it the strongest slide door mechanism in the world. In addition to the fact that the Sesame mechanism means that the doors close perfectly level with each other to produce a smooth wall-like surface, it brings with it other qualities in the field of sliding mechanisms and indeed to the world of home design. Extra thin aluminium profiles and perfect closure up to the ceiling with almost no gap. A built in television controlled from anywhere in the room with a magic eye. The television can be removed by Hardoor's technicians and comes with full Samsung guarantee. TV wardrobes come in all sizes and fit almost all spaces with a unique mechanism which can carry doors up to 2.5 meters wide each, allowing the clean, minimalist look of a huge glass wall. The wardrobes are of the highest specification and come with an 8 year guarantee.